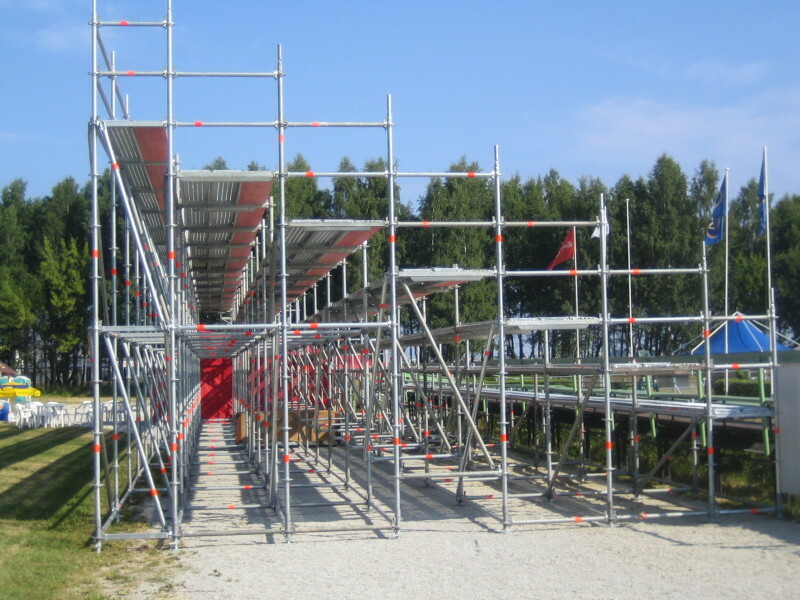 Layher Allround grandstand system is created for temporary and permanent solutions. It can be used as a standing or sitting grandstand in both indoor and outdoor conditions. The system allows the building of grandstands with various size and height. Thanks to Layher’s flexible substructure the grandstand can be set up on level as well as uneven terrains where the height differs in meters. 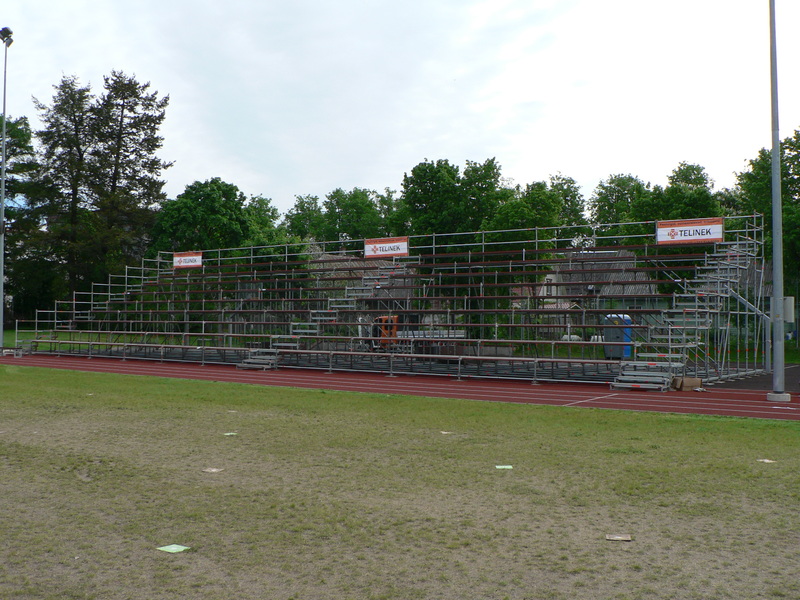 The grandstand has a module construction – basic modules of 257 x 109 cm and 207 x 109 meters. With diverse accessories, such as stairs and roof constructions, the readiness to adjust the grandstand according to specific conditions is almost limitless depending on the nature and needs of the event. Layher Allround material is in accordance with the strict norms in force in Germany concerning temporary constructions, which means that it also meets Estonia’s requirements.